First installment of a two-part adaptation of Stephen King's novel. It's estimated that every year, in libraries and bookshops around the world, more than a dozen bookworms suffer life threatening injuries or worse as a result of Stephen King novels falling on their heads. A paperback edition might merely put you in a coma, but a hardback will surely send you to an early grave. King's books make Tolstoy look economical. I have a copy of The Stand which I use as a literal stand - it comes in handy whenever I need to change a lightbulb. Had Shelley Duvall had a copy of The Shining to hand when crazy Jack Nicholson was trying to get into the bathroom she could have kept him out by using it as a doorstop. Spare a thought then for any screenwriter who has found themselves in the unenviable position of having to turn a thousand page King tome into a 120 page screenplay. It's no coincidence that the best movie adaptations of King are those working from his shortest works. De Palma's Carrie is based on King's debut novel, which is practically a haiku compared to his subsequent books. Stand By Me and The Shawshank Redemption both began life as novellas. One of King's weightiest tomes is his 1986 novel It, the story of a gang of kids, and subsequently adults, who battle Pennywise, the evil force abducting and killing children in the town of Derry, Maine, usually in the form of a demonic clown. In 1990, director Tommy Lee Wallace took a valiant stab at turning the novel into a two-part mini-series, and while it had its moments and boasted an iconic turn from Tim Curry as Pennywise, it suffered heavily from its limited running time. When I interviewed Wallace last year he described the process of adapting It as one of "reducing and reducing and then reducing some more." Now, 27 years later (if you're familiar with the narrative of It you'll know how apt that time-frame is) Hollywood is once again attempting the impossible, again compressing King's book into two movies. As with Wallace's mini-series, this first installment focusses on the protagonists in their childhood guises, and opens with the murder of seven-year-old Georgie Denbrough (Jackson Robert Scott) by Pennywise (played here by Bill Skarsgard). Director Andres Muschietti doesn't hold back here, delivering what must be the most shockingly graphic killing of a child ever depicted in a mainstream Hollywood production. It's a sequence that wouldn't be out of place in an episode of Twin Peaks: The Return, and lets us know early on the film isn't going to pull any punches. Pennywise doesn't stop there, his reign of terror continuing as he slaughters the children of Derry one by one. Determined to stop him is 'The Losers Club', a group of adolescents led by Georgie's older brother Bill (Jaeden Lieberher, last seen as the annoyingly precocious hero of The Book of Henry). Each member of the gang finds themselves subjected to a nightmarish experience that sees Pennywise exploit their specific individual fears. These sequences are well mounted by Muschietti - though one or two feel more than a little derivative of the Conjuring franchise, especially a ghoulish painting that comes to life to attack Jewish kid Stanley (Wyatt Oleff) - but they take up such a chunk of the running time that we never get a sense of the film's setting. 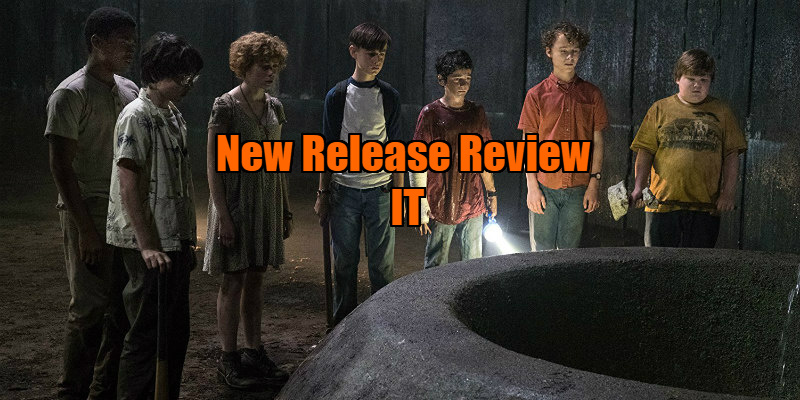 Even more so than creating nightmare fuel, King is known for his lovingly crafted depictions of small town New England, but in Muschietti's film we're rarely offered more than a brief glimpse of the world that exists six feet away from his child protagonists. The adult characters appear so briefly as to be reduced to stock characters - the abusive father, the over-protective mother, the resentful uncle etc - as is the case with local bully Henry Bowers (Nicholas Hamilton), portrayed here as a cardboard psychopath as the film fails to explore how he's being manipulated by Pennywise. Although all the members of The Losers Club are introduced on an equal footing - with the exception of Finn Wolfhard's foul-mouthed Ritchie, who seems to just hang around and make wisecracks - the film eventually seems to forget about half of them, focussing on the love triangle between Bill, Ben (a thoroughly endearing Jeremy Ray Taylor) and the sole female member of the gang, Beverly (an excellent Sophia Lillis, who seems to have been cloned from the DNA of Amy Adams). While relegating the African-American and Jewish kids to the background isn't a good look, Lieberher, Taylor and Lillis undeniably bring a surprising amount of pathos to their roles, and the movie is heart-warmingly sweet in places. The adult actors who take over their characters in the second installment have a tough act to follow. I'll go so far as to say that had the movie erased its horror elements and instead delivered an adolescent coming of age romance I would have found it a far more satisfying watch. Given the mammoth task involved, it's hard to imagine a better version of the first half of King's novel could have been crammed into 135 minutes. 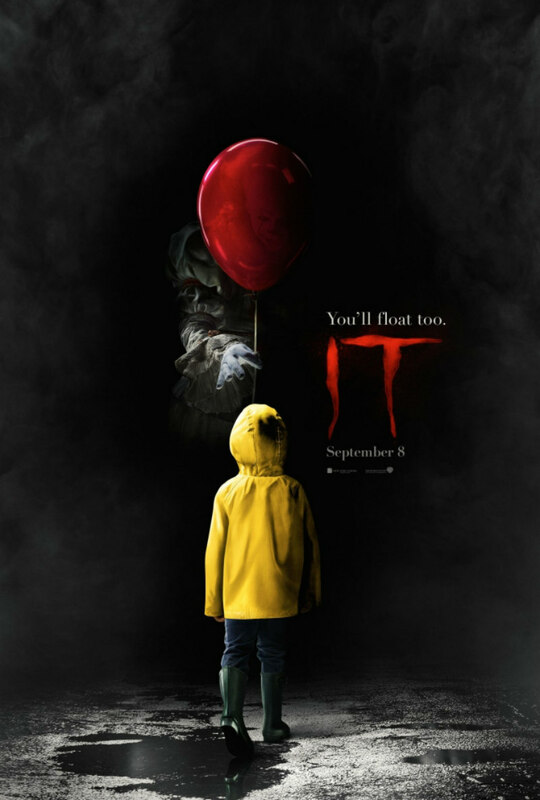 The kids are a delight to watch, Skarsgard is effectively deranged as Pennywise and the movie doesn't shy away from the darkness of its subject matter. But 135 minutes just isn't enough. Where's Netflix when you need it? It is in UK/ROI cinemas September 8th.